What is your philosophy as an SEO expert? Growing up in Dallas, my parents taught me that shortcuts are no good. The only way to accomplish anything in life is to take your time and do everything right. I thus do not approach SEO with a “one size fits all” mentality. Instead, I carefully study each website that I work with, determining the specific strategies necessary to make the company succeed. My goal is to lay a sound basis for each client. I start every project with a detailed and comprehensive website and SEO audit. I will study your business, your company, and your online presence. Also, I will thoroughly research your competitors and implement competitive analysis. Success leaves clues.  What sets you apart from other SEO Firms or experts? First, I am an experienced small/medium size business owner. I can share my business experience more in depth when we speak if you are interested. Over the last 20 years, I have built and sold a sizeable international internet marketing firm that generated over $100 million in sales. Also, I have developed multiple small businesses relying on my internet marketing background. Don’t get me wrong, I am not perfect or batting 1000! Investing in a restaurant, bad idea for a web guy! I am a seasoned businessman who understands business and will work with you to increase your companies profits. Knowing the bottom line should be my middle name. SEO firms have little interest in learning the subtler points of search marketing. Often, businesses that bill themselves as “SEO experts” are in fact merely brokers, who will take your money and then outsource the service to another company. Even those who perform SEO work on their own are often more interested in completing the job quickly and providing good short-term results. Once you’ve paid for your service, they don’t care if your company can maintain its rankings. Unlike these search engine optimization firms, I take personal pride in the SEO Consulting that I provide. By balancing short and long-term objectives, taking care not to mislead your company with temporary successes. Though I am happy to serve returning clients, my goal is to provide such an excellent service that no client needs to come back. And heck I rank #1 for sexiest man in Texas! How many search engine optimizations clients are you able to serve at a given time? Although I would love to offer quality SEO to every business, there is only so much I can do at once. Because I provide all of seoexpertbrad.com’s services, I can only serve a handful of clients at any given time. At present (November 2018), I have time for one more consulting client or, so contact me as soon as possible if you’d like to implement my services. Use the contact form below to provide me with information on your company and goals, and we can begin discussing what I can do for your business. I am happy to work with the right partner, be it a plumbing business, Roofing, HVAC, e-commerce, or Fortune 5000. I’ll answer that query with a question of my own: what do you hope to accomplish? If your answer is greater visibility, I can provide your company exactly that No matter how talented you are in your field, you cannot succeed if people don’t know who you are. My strength is in making clients’ skills and business’s known to the public, allowing talented professionals to make the most of their abilities. I have two answers: experience and simplicity. As far as experience, I have been in this field for more than two decades, and have worked with every kind of company in the market. I have identified, implemented, and studied thousands of keywords, using them to improve rankings on Bing, Google, and other popular search engines. I also understand the relationship between search engine marketing and other aspects of the industry. Businesses in more competitive fields, for example, need more complex SEO strategies than those in smaller less competitive markets. I have a long history of taking all these factors into account in improving clients’ search rankings. Even as I manage numerous different factors, I strive for simplicity in my reports to clients. I consolidate all of your data into individual documents and spreadsheets, allowing you to quickly identify the information you need to know to gauge progress. You will never be confused about how I am contributing to your company’s goals.